General Hotel Management (GHM) is set to introduce its second resort in the Middle East – Al Bait Sharjah on September 1, 2018, marking yet another significant milestone to celebrate Arabian heritage. Developed in partnership with the Sharjah Investment and Development Authority (Shurooq), Al Bait Sharjah offers an unrivalled dimension of luxury, sophistication and personalised service in the emirate. Located in the region’s biggest restoration project known as ‘Heart of Sharjah’, the opening of Al Bait plays a key role in re-establishing Sharjah as the cultural hub of the United Arab Emirates. Paying homage to traditional Sharjah architecture, the 53-key heritage resort is constructed from the restored foundations of vintage homes that once belonged to noted Emirati families. “GHM has taken the lead in pioneering luxury hospitality in the emirate, while connecting the modern traveller to Sharjah’s rich past. We eagerly look forward to welcoming guests to Al Bait for an experience comparable to no other,” states Patrick Moukarzel, General Manager, Al Bait Sharjah. 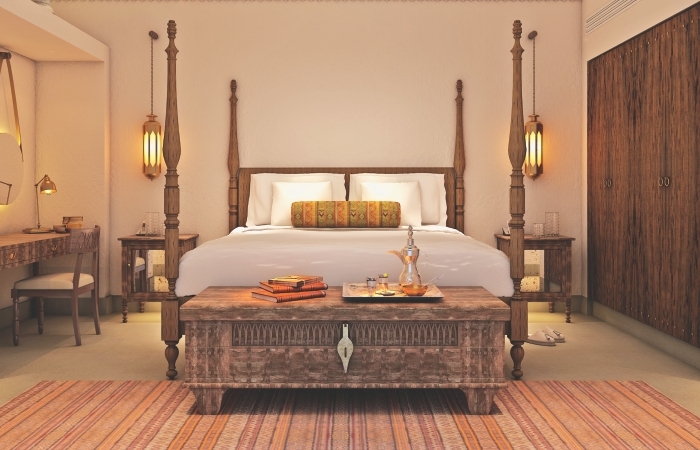 Al Bait, meaning home in Arabic, is carefully remodelled and designed to provide world-class hospitality services and luxurious experiences to its guests, through elements that are in harmony with culture, society, history and civilisation as well as quintessential Emirati hospitality and etiquette. Al Bait Sharjah is home to world-class gastronomy featuring Arabian and multicuisine restaurants as well as The Café where diners discover the only remaining circular wind tower in the UAE, while sipping Arabic coffee and indulging in authentic European pastries or traditional Emirate desserts. The Turkish-inspired Ice Cream Shop brings a characteristic charm and flavours that are hard to find anywhere else in the region. The Spa stays true to the GHM wellness heritage and offers guests a delightful combination of luxurious indulgences to relax and rejuvenate.